Flirting online isn’t as simple as you may think. If you’re shy, the fact that you’re separated by a computer screen might not make such a difference. You’ll still find yourself frozen in front of a cute girl. And if you’re just looking for some fun, you need to know how to send the right message. A smirking smile just won’t do. Take a look at these 7 easy steps for flirting with girls using online dating to help you get your game on. 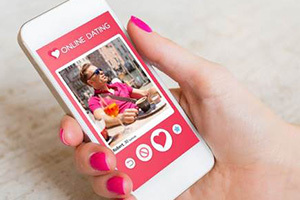 The best flirting websites offer loads more than just a Tinder™ like swipe tool, In fact, thanks to the success of flirting on websites and apps like Tinder™ , nowadays these come as standard before we even get started with extras. The best thing about online dating vs Tinder™ dating is being able to be specific about what you’re looking for. Have a think about what you want in terms of casual or serious, or broad dating pool vs niche flirting before you sign up. If you’re sure you want to find a Christian match, try a website like ChristianMingle​ but if you simply want to find women to flirt with, sites like CheekyDevil are fantastic, as women chat for free. Gone are the days where we can afford to be sitting around the house staring at a desktop screen for our flirt to get back to our last message. We need to be able to flirt, chat, and date on the go, whether this is on the way to work, on a night out or simply from the comfort of our pockets while we get on with other tasks. While it can seem like mobile friendly dating and flirting starts and ends with Tinder™, you couldn’t be more wrong. 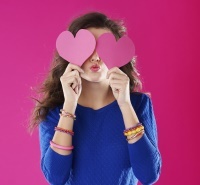 Zoosk boast the #1 dating app on the app store, and it’s even available on smartwatch for seriously flexible flirting. It couldn’t get simpler than searching with Tinder™, but sometimes simple isn’t what you’re looking for. Rather than a basic location search and a photo result, the best online dating sites allow you to find what you’re looking for much faster with extensive search filters and detailed profiles of potential matches. This means that unlike the standard yes most women receive from men on Tinder™ or the standard no in return, (men swiping yes on average three times as much as women do) you already know a bit about who you’ll be flirting with before you get started. Once you’ve found what you’re looking for with keyword or interest searches, as well as narrowing it down by physical appearance and lifestyle choices, check out your matches profile to see if you want to make the first move. Some websites such as DatingAgency even show you a video profile before you send that first flirt. And it can go even further than this. If you prefer to sit back and let the universe do the hard work for you, you might want to think about trying a compatibility site such as EliteSingles or eHarmony. Ever got chatting to someone you think is gorgeous, only to find you have zero in common and nothing in the way of banter? These types of websites not only match you by interests, but also by personality, making the likelihood of a perfect match sky rocket. Once you’ve found someone who takes your fancy, and you’re about to get flirting, do you ever worry that they’re not who they say they are? A recent study created a fake profile with digitally enhanced images which received over 34% more attention than the original. Tinder™ like dating certainly comes with its share of risks. To avoid the catfishing as much as possible, always employ the extra safety features online dating sites can offer. Our current favourite is the Zoosk 7 second selfie video, which all users can upload directly from their mobile to receive a verification stamp on their profiles so you can flirt with confidence. A photo and a chat is all very well and good, but I personally would want more from my flirting before agreeing to a coffee date. Match.com has some of the best communication extras out there, with an easy to use instant messenger, as well as audio and video chat from the site itself. Some websites offer chat-rooms so you can see what your match is like in a more group setting or with others apart from you, others offer a secure phone line, if you’re more comfortable flirting over the phone without being seen for the time being. Hit it off and want to take the relationship to the next level? With the girl of your dreams chosen based on specific search filters or compatibility, verified with added safety tools and flirted with using the best communication extras, you should feel 100% confident moving to a fun and hassle-free offline meet. Can’t decide which site is best to flirt with? Use our Feature Comparison to help get your head around all the choice.